This is especially exciting news for anyone who's wanted to drive a Lamborghini through a swamp. It looks like Ubisoft is really pushing the ability to fly/drive/boat your way across not-quite-America in The Crew 2. Admittedly, it looks like a lot of fun, assuming everything works as smoothly as you'd hope, and even if it doesn't, there are lots of hijinx to be had in watching your boat slam into the streets of Detroit from 200 yards in the air. Their latest dev video highlights this flexibility and talks a little about how the game is focused on feedback from the motorsports community itself. The way the game's shaping up, it sounds like that feedback was from one guy on a forum writing Xtreme NASCAR fanfiction, but hey, I've heard worse inspiration. 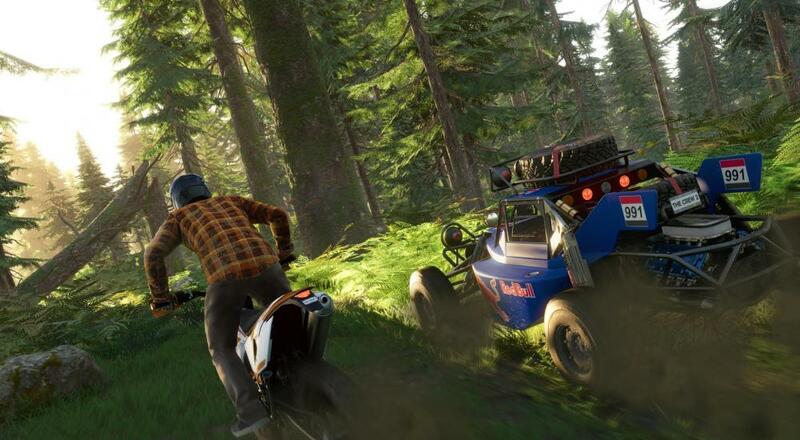 The Crew 2 still has a way to go in terms of development, as it's not due out til March of next year, but hopefully Ubisoft has learned from the lackluster reception of their original release. When it does arrive, you'll be able to team up with three other online players and participate in events and such, or just drive around the countryside and terrorize farmers. Page created in 0.6159 seconds.